When you think of Ireland, you think of castles (well at least I do). They are everywhere you look, which means you should probably stay in one at least once in your life so you can really feel like a prince or a princess. Fortunately, Ireland has a lot of options for castle stays as well as unique and boutique hotels. Here are some we would recommend. Don’t let the formal appearance of Castle Leslie intimidate you – the staff here are as down-to-earth and welcoming as the owner, Sammie Leslie, who still lives here and manages the family castle as a high-end destination for people from around the world, including Sir Paul McCartney who got married here and Mick Jagger who used to party with the family back in the 70s! A stay at this castle can be as relaxing as you choose or as active, as there are plenty of activities to do on the huge acreage including hiking, horseback riding, and kayaking on pretty Lake Glaslough. Stay in the historic rooms inside the castle itself, or in the more modern but equally luxurious rooms at the Lodge building. But wherever you stay, be sure to dine at their restaurant which is top notch. For a detailed review with more photos, read more here. It’s almost impossible to believe that this castle used to lie in ruins, literally, with trees growing in the current reception lobby. But the hotel renovation/restoration is well documented on a video that shows the extensive project that brought this incredible castle back to life as a hotel. (of particular interest to my builder husband, Henk) The work has been done very well, including the modern addition which is where our room was. 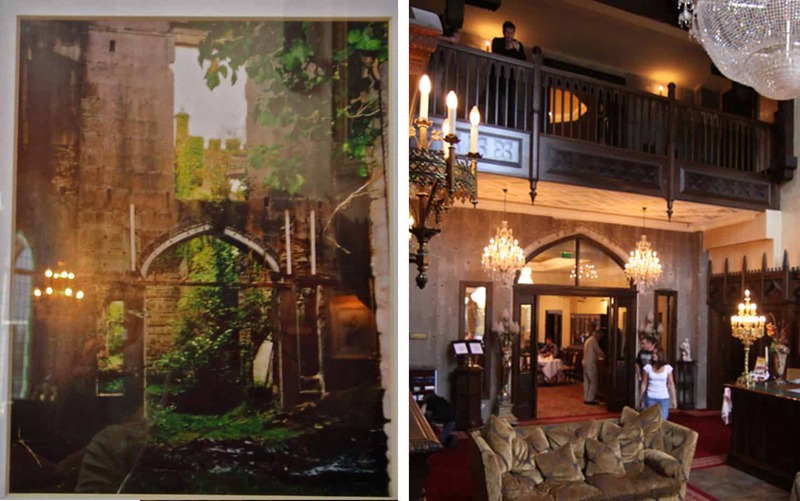 Photograph on left shows the castle in ruins, and on the right the restored reception area. When it comes to beautiful Irish vistas, Slieve Donnard simply cannot be beat. This magnificent-looking property sits directly on the shore of Newcastle Bay offering stunning sunrise views out over the water and front-row seats to the Mountains of Mourne just off to the right. Inside, the property offers spacious rooms with traditional architectural details and decor, many with bay windows looking out to the sea. There’s also an indoor pool, on-site spa and plenty of options for dining too, including Afternoon Tea that is a popular excuse for locals to come here for a special treat. 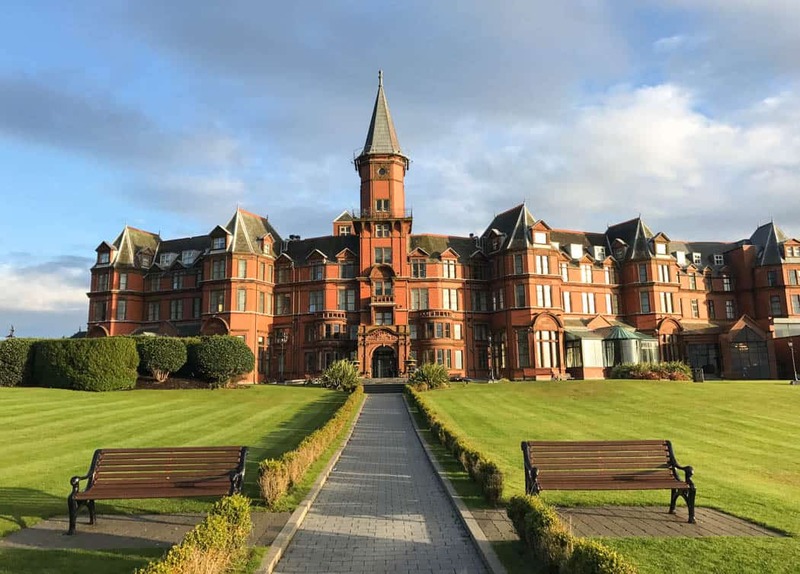 If you opt for breakfast with your stay, don’t be surprised to find oatmeal and Irish whiskey as a buffet item, since this is actually a Northern Irish tradition. 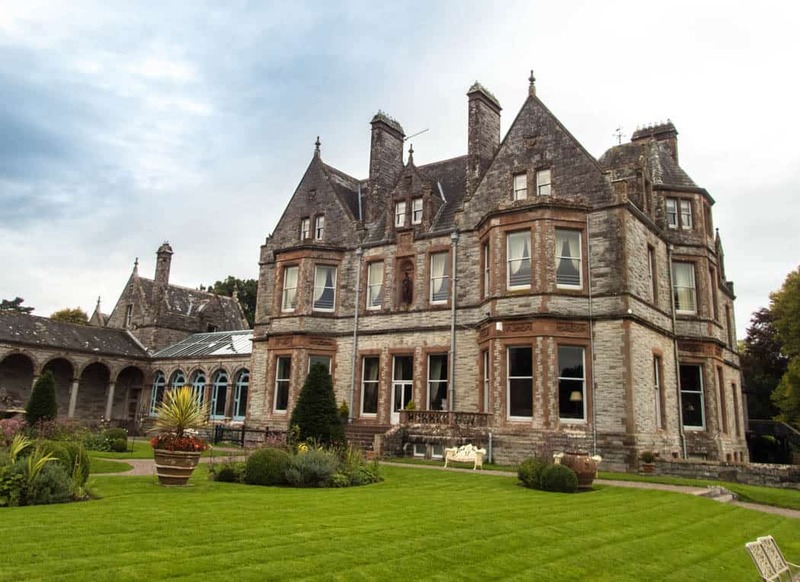 Boutique, pretty and quaint is the best way to describe historic Scholars Townhouse Hotel, which was built in 1867 to serve as a monastery for the nearby town of Drogheda. Renovated in 2005 into a 16-room boutique hotel, the hotel stays true to its original footprint, meaning the rooms are definitely on the small size. But what the hotel lacks in room sizes it makes up for with the calibre of dining in its restaurant which is excellent. Plus its location near the Boyne Valley makes it a perfect base to explore everything the area offers. 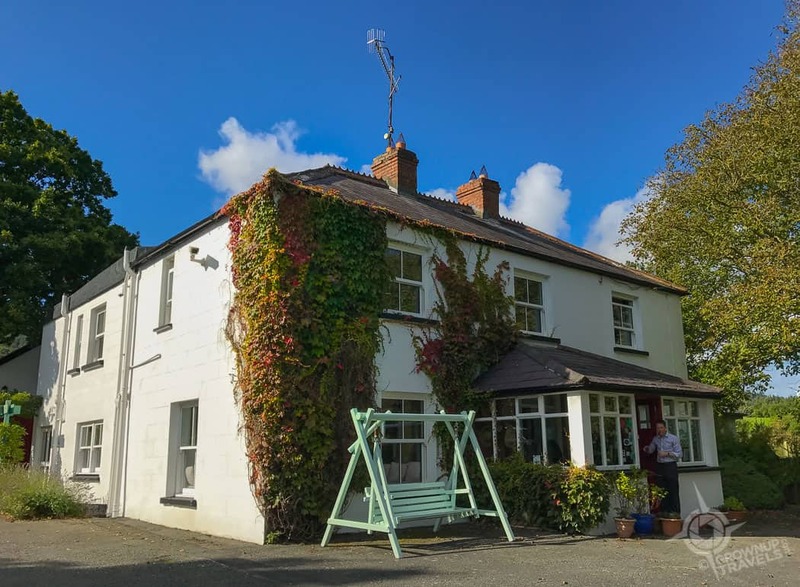 Ballyknocken is much more than just a quaint, 7-room Victorian country house; the property has been in the family of chef/owner Catherine Fulvio for 3 generations, and people come here not just for its bucolic rural setting but for the Cookery School on the property that Catherine runs. Rooms are comfortable and furnished with family antiques, and breakfast is ample, delicious and cooked to order. Read more about the Cookery School experience here. Want to read more about our experiences in Ireland? Click here.